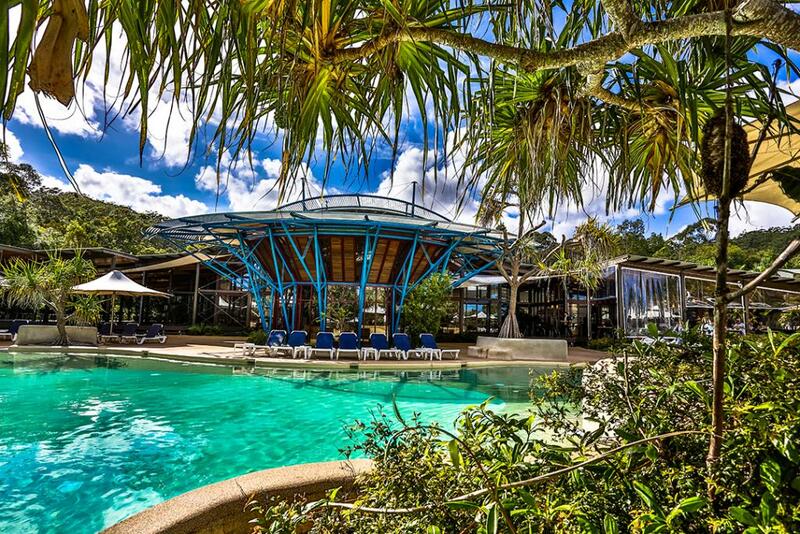 Kingfisher Bay Resort is nestled amongst the lush vegetation of the sand dunes on the western side of Fraser Island, overlooking the calm waters of the Great Sandy Strait. 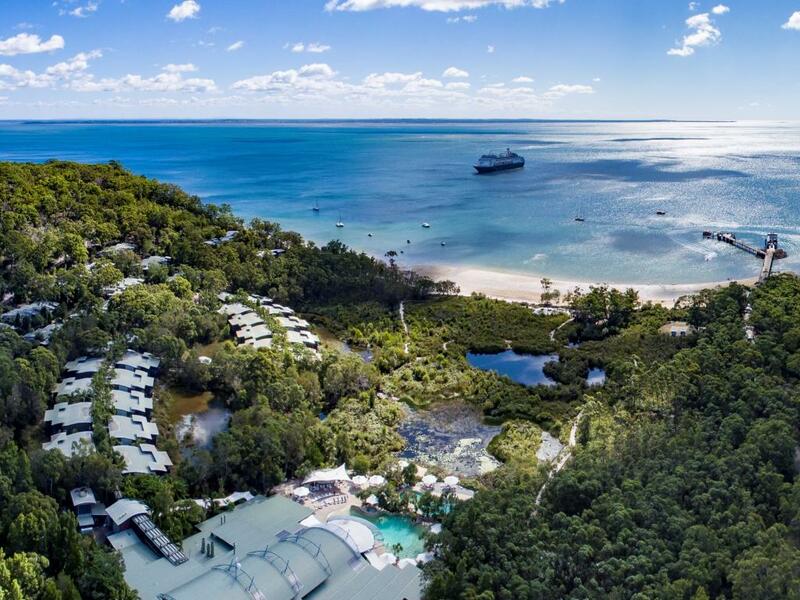 This multi-award winning resort is only a 50 minute transfer from Hervey Bay, and is easily accessible via passenger and vehicle ferry which depart from River Heads four times a day. 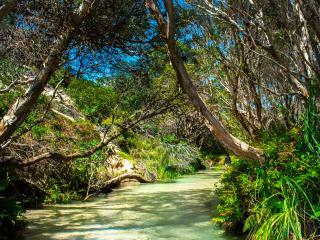 World Heritage listed Fraser Island is located at the start of the Great Barrier Reef, and is the largest sand island in the world. 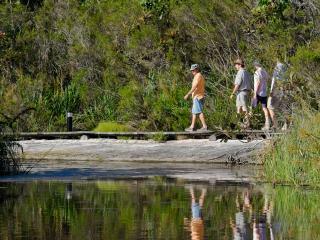 Once here, guests of Kingfisher Bay Resort can explore the diversity and beauty of the island on the Fraser Island Beauty Spot Tour. 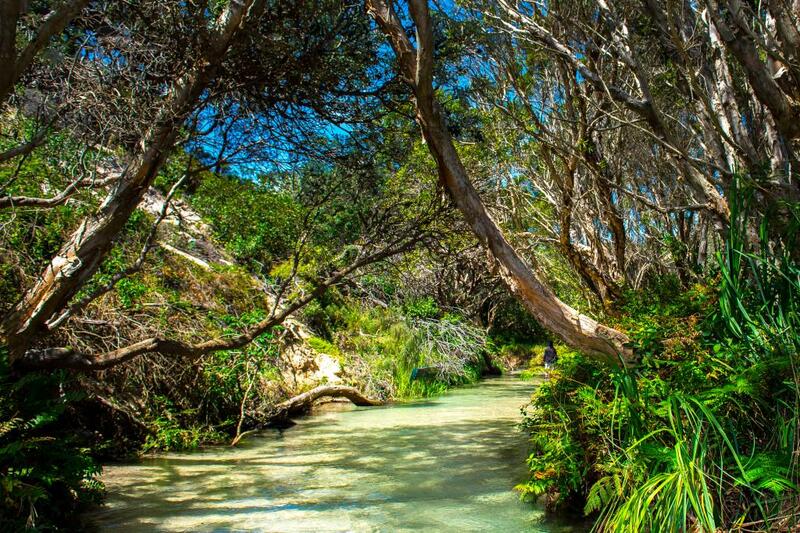 Swim in crystal clear freshwater lakes, drive along 75 Mile Beach, see the coloured sand cliffs and the Maheno Wreck, and immerse yourself in the beauty of the ancient rainforests. 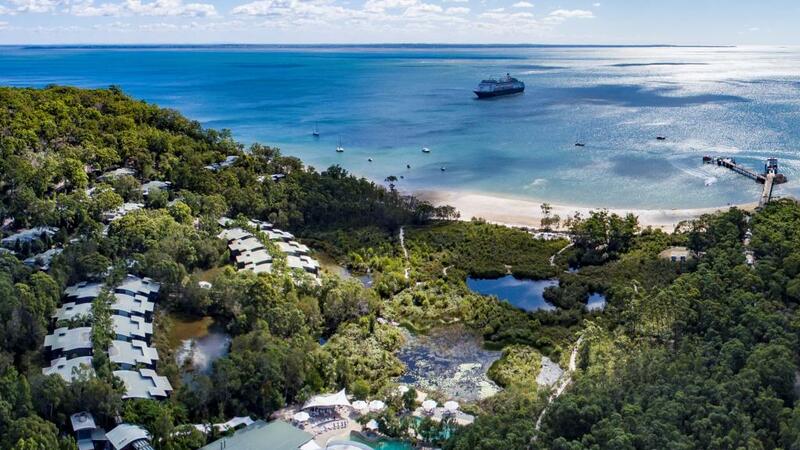 There is plenty to see and do on Fraser Island and Kingfisher Bay Resort is the ideal place to base yourself to do just that! 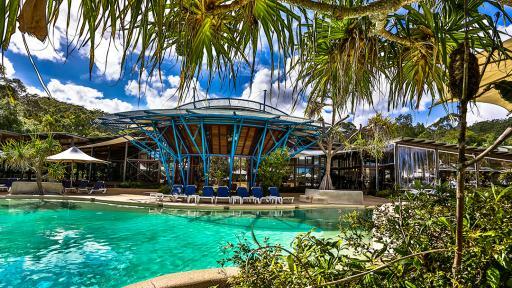 Kingfisher Bay Resort offers deluxe eco-friendly accommodation surrounded by a lush grove of trees. 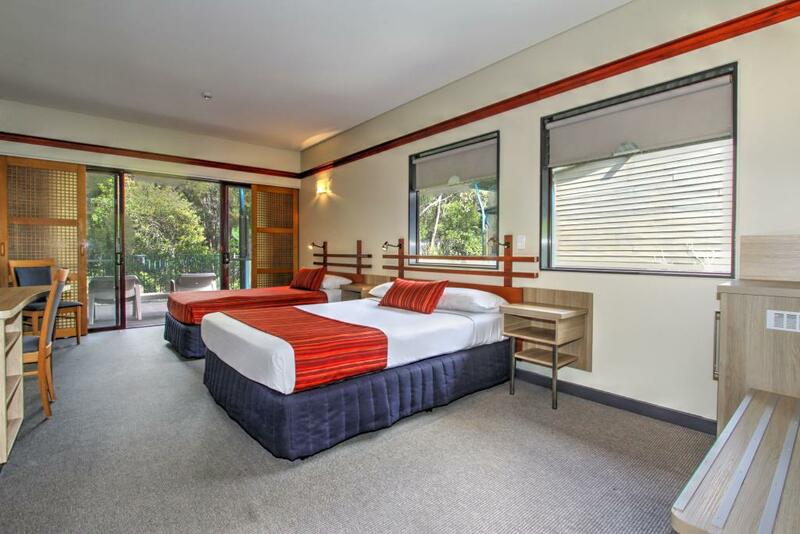 Guests can choose from Hotel and Bayview Hotel Rooms which are bright, modern and comfortable, and enjoy bush, lake or bay views from private decks. 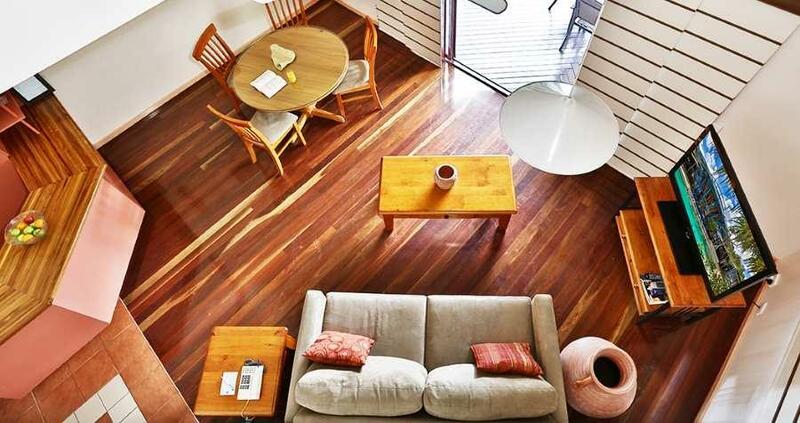 They are also linked by timber walkways and are just a short distance to the Centre Complex. The 2 and 3 Bedroom Villas feature private decks with scenic bush or sea views and have fully equipped kitchen and laundry facilities. 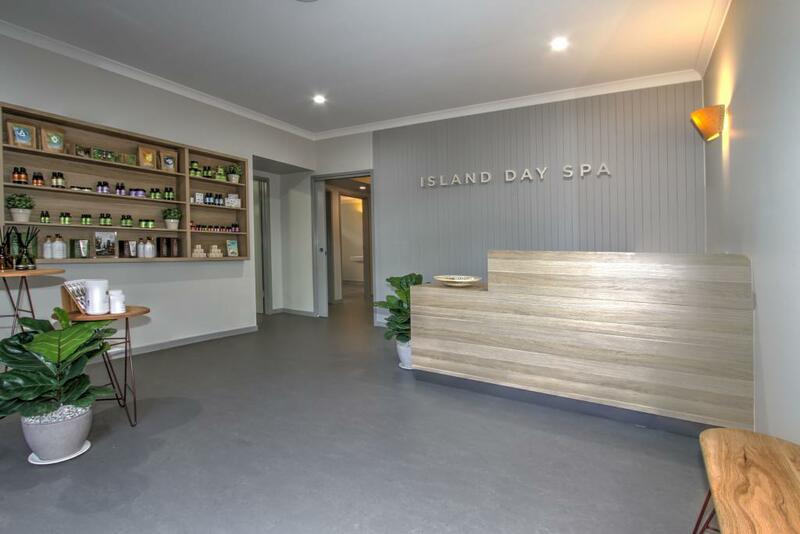 Kingfisher Bay Resort is also home to an excellent range of onsite leisure facilities including a swimming pool, spa, tennis courts, a number of bars and restaurants, a general store, child minding facilities, beauty therapy and massage services and much more. 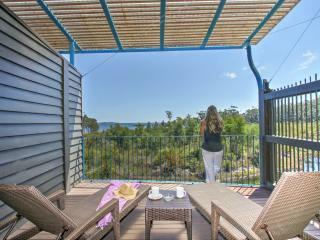 For your next family holiday or romantic getaway, look no further than Kingfisher Bay Resort. 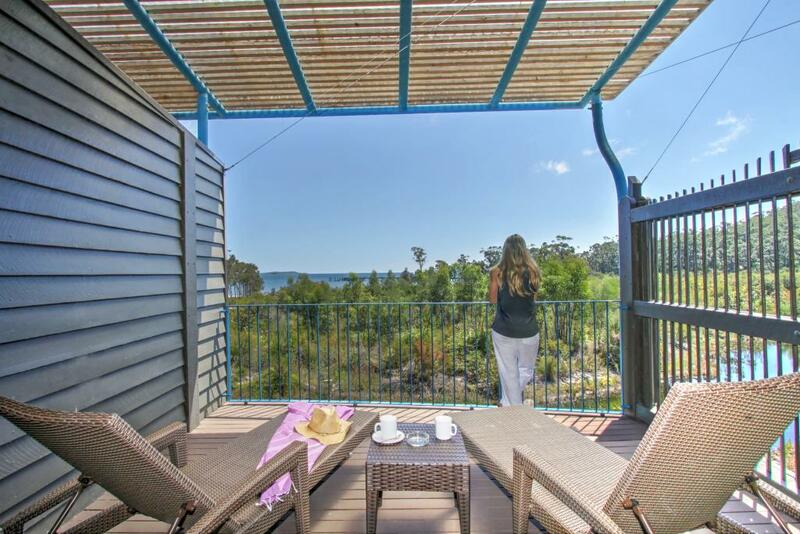 With great facilities, affordable accommodation, and a location like no other, Kingfisher Bay Resort will not disappoint! Kingfisher Bay Resort offers guests a choice of Hotel Rooms, some with bay views and spas, and self contained 2 and 3 bedroom villas (see villa information below). 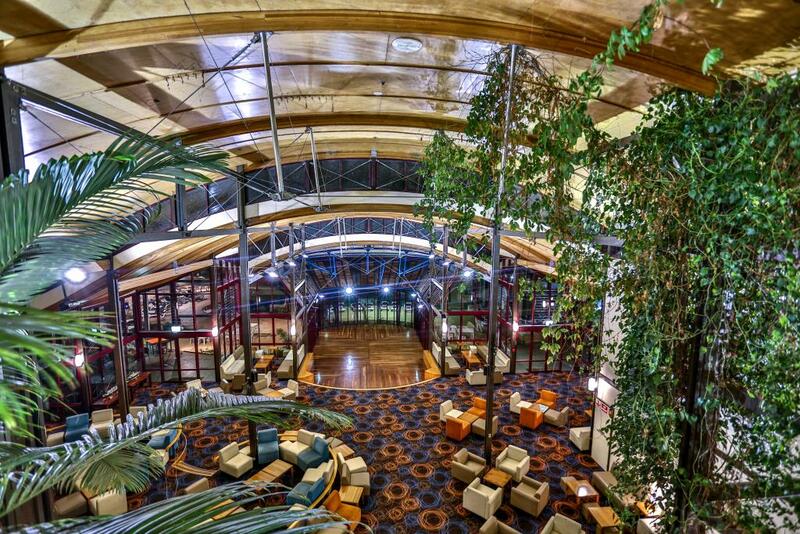 The Hotel Rooms are linked by timber walkways and are just a short distance to the Centre Complex. 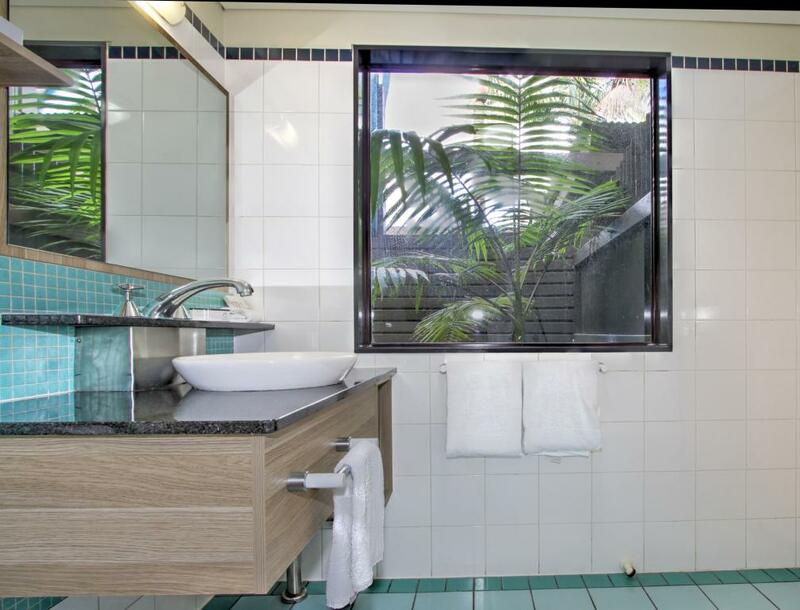 Bright, modern and comfortable, all Hotel Rooms enjoy bush, lake or bay views from large private decks. Standard Resort Hotel Room: Bedding is 1 Queen Bed + 1 Single Bed. Maximum room capacity is 3 Adults & Children. Standard Resort Hotel Spa Room: Bedding is 1 Queen Bed + 1 Single Bed. Maximum room capacity is 3 Adults & Children. Wallum Lagoon View Resort Hotel Room: These rooms have views over the Wallum Lagoon. Bedding is 1 Queen Bed + 1 Single Bed. Maximum room capacity is 3 Adults & Children. 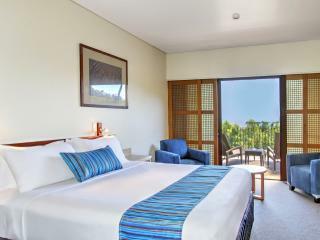 Wallum Lagoon View Resort Hotel Spa Room: Bedding is 1 Queen Bed + 1 Single Bed. Maximum room capacity is 3 Adults & Children. Bay View Resort Hotel Room: Bedding is 1 Queen Bed + 1 Single Bed. Maximum room capacity is 3 Adults & Children. 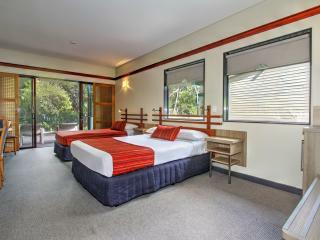 King Bay View Resort Hotel Room: This room will only be available in conjunction with the Adventure Package. Bedding is 1 King Bed. Maximum room capacity is 2 Adults. 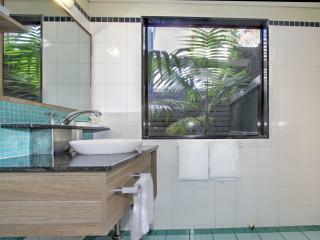 King Bay View Resort Hotel Spa Room: This room will only be available in conjunction with the Romance Package. Bedding is 1 King Bed. Maximum room capacity is 2 Adults. 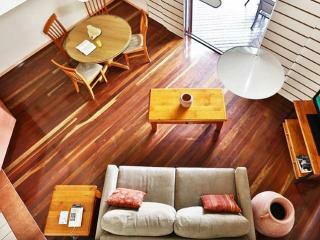 All Villas are nestled in the treetops and feature full kitchen facilities and outdoor decks, some with spas. 1 Bedroom Loft Villa: Bedding is 1 Queen Bed. Maximum room capacity is 2 Adults & Children. 2 Bedroom Standard Villa: Bedding is 1 Queen Bed + 2 Single Beds. Maximum room capacity is 4 Adults & Children. 2 Bedroom Spa Villa: Features a spa on the deck. Bedding is 1 Queen Bed + 2 Single Beds. Maximum room capacity is 4 Adults & Children. 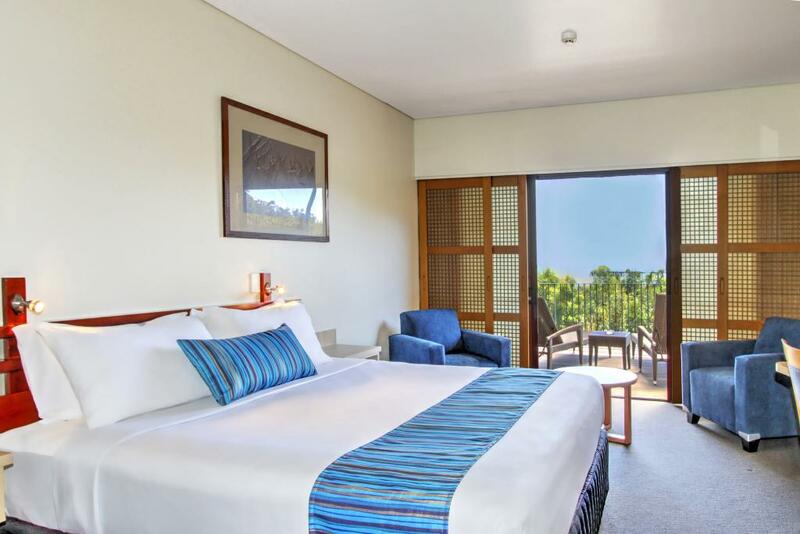 2 Bedroom Loft Villa: Bedding is 2 Queen Beds + 2 Single Beds. Loft access by ladder. (Not suitable for young children or the elderly). Maximum room capacity is 6 Adults & Children. 3 Bedroom Spa Villa: Features a spa on the deck. Bedding is 2 Queen Beds + 2 Single Beds. Maximum room capacity 6 Adults & Children. 3 Bedroom Executive Villa: Bedding is 2 Queen Beds + 2 Single Beds. Maximum room capacity is 6 Adults & Children. Maheno Restaurant & Lounge Bar: The restaurant's casual atmosphere also allows one to grab an island cocktail from the Lounge or Pool Bars and watch the live entertainment, before dinning deck-side or inside. 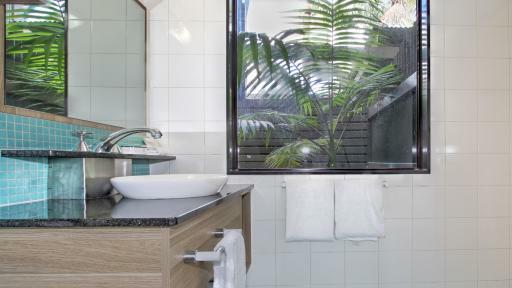 Guests can relax with a coldie or a glass of red over dinner and take time, between visits to the buffet, to soak up the sounds of Fraser Island. 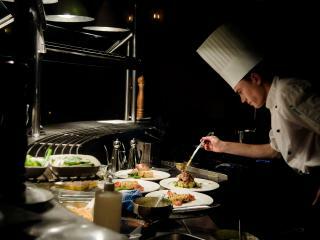 The restaurant opens seasonally for lunch and dinner. Open daily for breakfast. 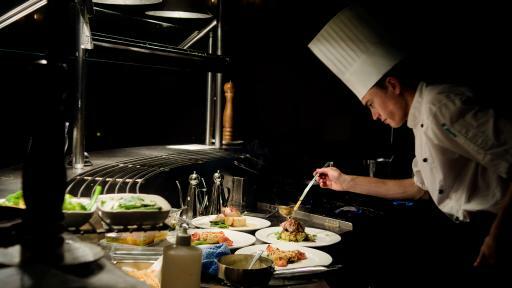 Seabelle Restaurant & Wine Bar: Bush tucker meets modern Australian cuisine at this award winning dinner venue. 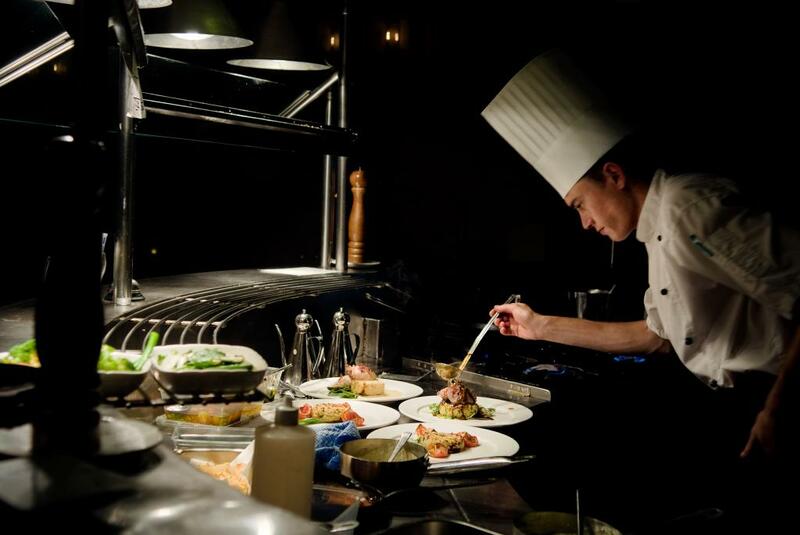 Serving fresh seafood and an extensive vegetarian menu, accompanied by fine Australian wine on the large deck with bush views. Bookings essential. 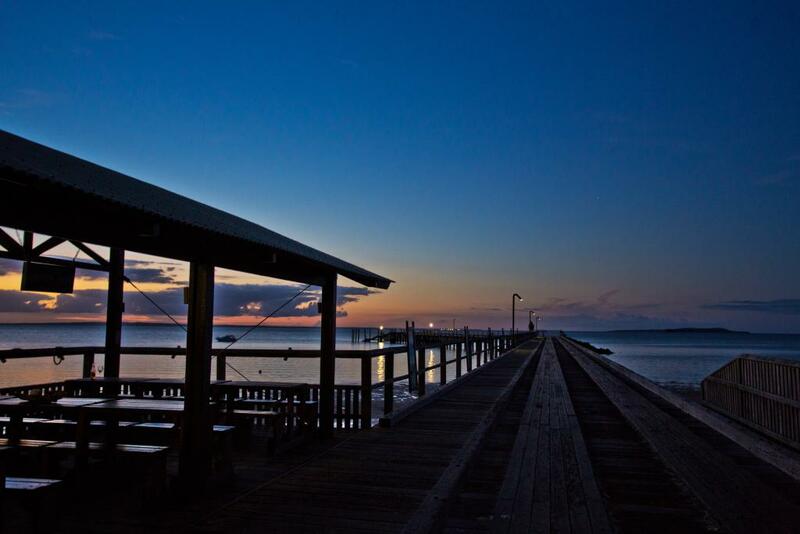 The Sand Bar & Bistro: Serving an affordable bistro menu in a fun, nautical atmosphere overlooking the beach and pools with pool tables, poker machines, karaoke and disco party nights. The Pool Bar: A full service bar specialising in cold drinks, cocktails, smoothies and snacks. Sunset Bar: Serves champagne, cocktails, cold drinks and coffee at sunset as well as confectionery, ice cream, tourist merchandise and all fishing gear. 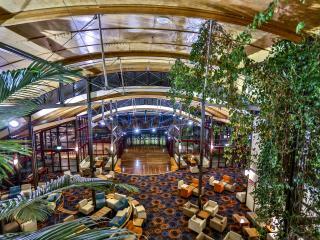 Dingo Bar: Open daily from 7.00pm til late for plenty of nightlife adjacent to the Wilderness Lodge. Access is via a shuttle bus from reception. 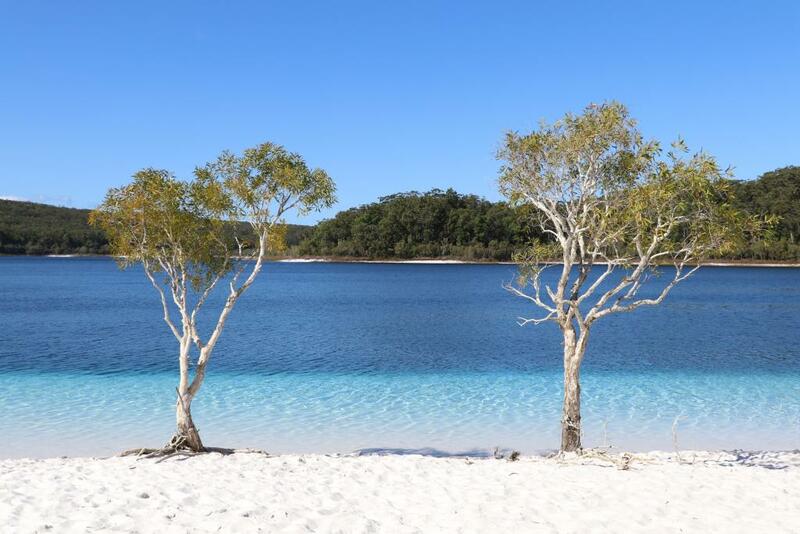 Beauty Spot 4WD Tour: Swim in the crystal-clear blue waters of Lake McKenzie, from Central Station walk along the banks of Wanggoolba Creek, marvel at the majestic satinay pine trees of Pile Valley. Drive along spectacular 75 Mile Beach, stop for a swim or paddle in the cool fresh waters of Eli Creek and visit the Maheno Shipwreck. Marvel at the coloured sands of the Pinnacles and see ancient forest being uncovered as Stonetool Sand Blow moves across the island. 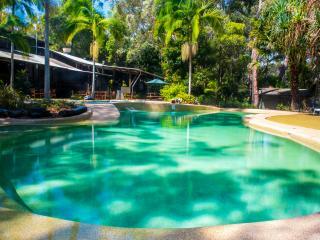 Includes morning tea, lunch and national park fees. 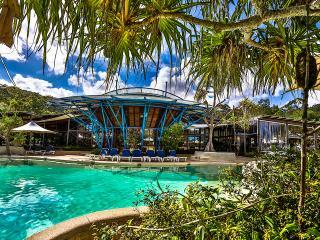 Departs daily from Kingfisher Bay Resort at 8.00am and returns approximately 4.30pm. 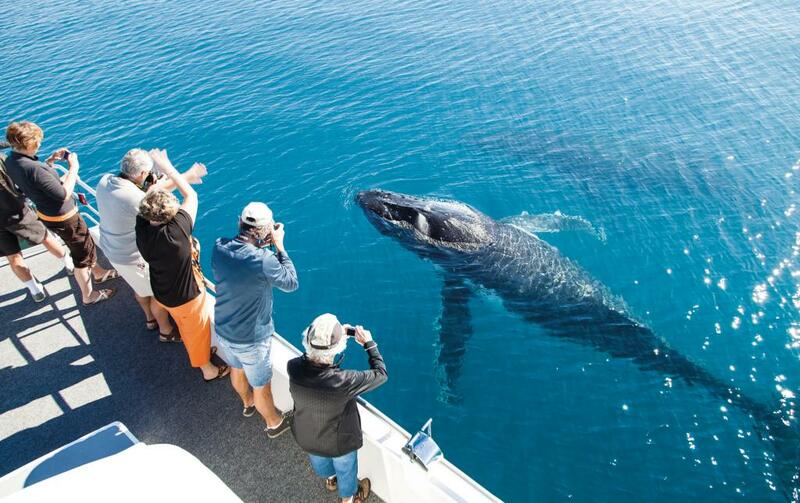 Whale Watch Cruise: Humpback whales travel to Hervey Bay from August to October. Taking time out from their migration, to relax and nurture their calves in the sheltered lee of Fraser Island. 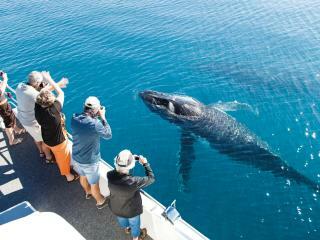 This cruise provides some of the best whale watching in the world. 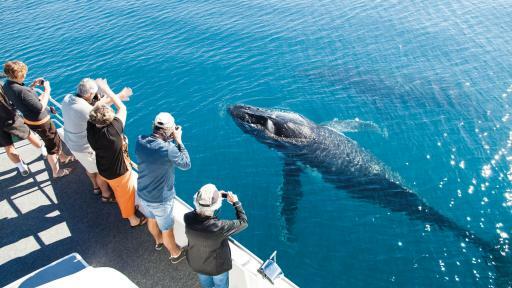 As they come in close to the boats, they are easily seen in the clear waters of the bay. Marine rangers provide commentary and a multimedia presentation. 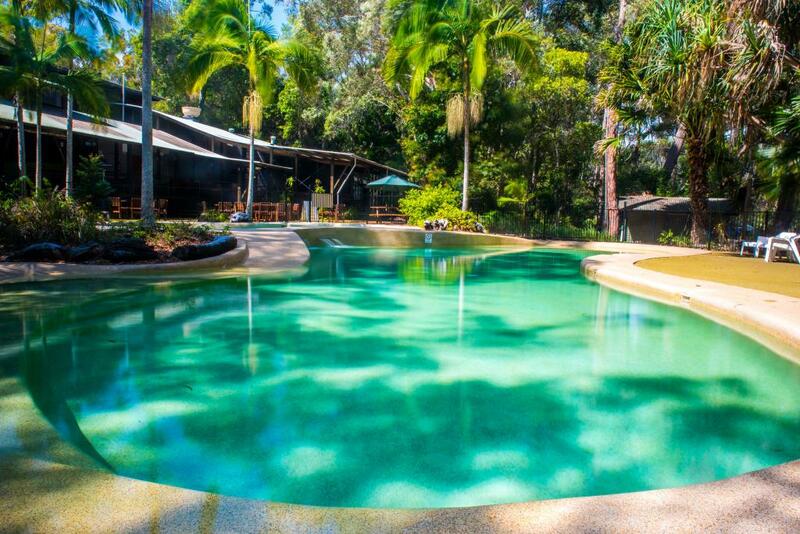 Includes morning tea and National Park fees. Departs daily from August to October at 8.00am and returns at 12.00noon. 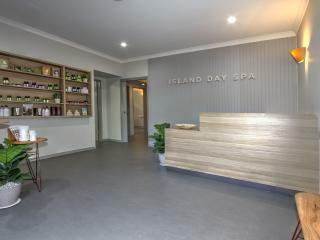 Island Day Spa: Features a fantastic array of nourishing treatments in spacious treatment rooms. Open daily from 10.00am - 7.00pm. Junior Eco Ranger Program: These fun and informative weekend and holiday sessions teach children to care for the environment and everything in it. Activities include learning about mangrove colonies and inter-tidal zones, playing environmentally themed games, low ropes course and canoeing, bush and beach walks and more! Junior Eco Rangers runs Fridays night programs and two sessions on Saturdays. 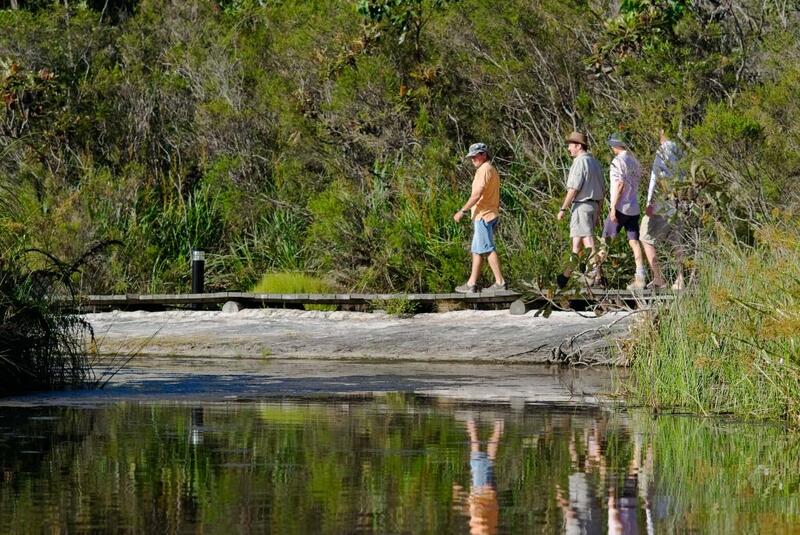 During school holidays the Junior Eco Ranger programs run daily, and activities include lunch or dinner. All session fees are payable direct. 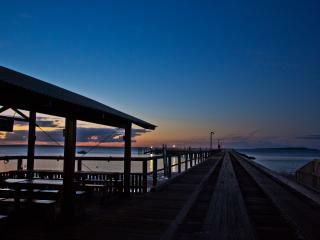 Kingfisher Bay Resort is just a 50 minute trip by passenger ferry from the mainland reception located at River Heads. The passenger ferry operates four times per day. 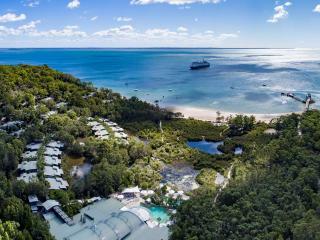 These transfers must be pre-booked in conjunction with accommodation at Kingfisher Bay Resort. Guests are advised to arrive at the mainland reception 40 minutes prior to ferry departure for check in. A courtesy shuttle from the mainland reception to ferry will leave 10 minutes prior to ferry departure time. Mainland reception is located at Shop 7/54 River Heads Shopping Village, River Heads Road, River Heads. (Please note, River Heads Road becomes Ariadne Street at the shopping village). Very happy with our trip to Fraser Island from start to finish we were picked up on time and transfers were efficient and operators friendly. Our room was clean and met our needs the resort was beautiful and well app appointed with Spa Shop and swimming pool and many bars and restaurants The buffet breakfast was one of the best I have.encountered loved the pancake machine. Staff were friendly and the surroundings were spectacular. 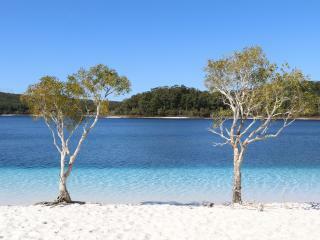 Loved our Beauty spots tours wished we could of stayed at Lake McKenzie longer though. Would of loved a transport system to drop off at Lake Mckenzie and pick up for a extra fee of course that would be magnificent!! The resort was nice overall, but I thought it was not good value for money. - Wifi came as an expensive extra, and the broadband is not even good in the rooms far from the lobby. - Not many options to exercise: running not recommended because of the dingoes, no gym available, pools are more for recreational purposes and tennis equipment is not well maintained. - The room itself was nice enough, but was quite dark. There was limited amount of sunlight during the day and only weak lamps for the evening. - There were little efforts made to entertain guests, appart from the guided tours, the pools and the bar. Value for money set aside, I enjoyed the stay. Staff was helpful and friendly, breakfast was great, and the 4WD guided tour was a great day out. It was a good 3 night break.